I have this very vague and very long list of recipes in a note on my phone, mainly ones that I want to try making (hello, vegan swiss cake rolls are killing me, I’ve been trying!) and others are just a slew of words that popped into my head and I need to get out before I forget them. 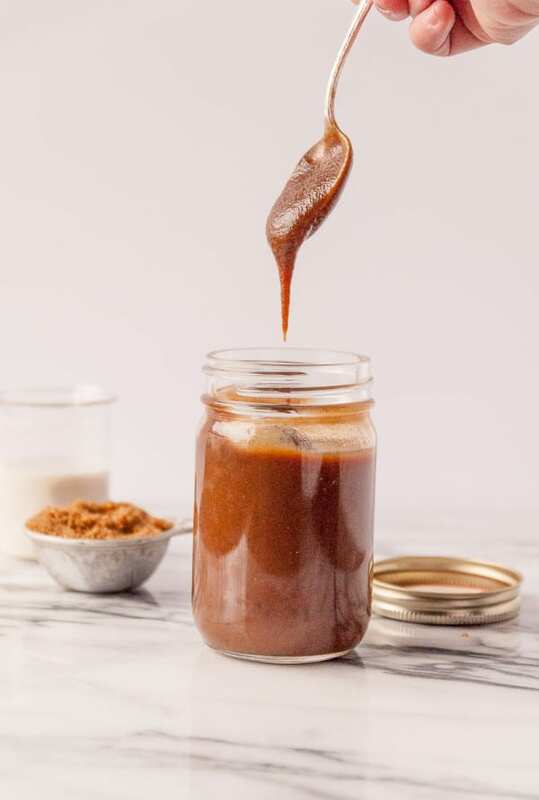 This vegan caramel sauce was one of those ‘what was I thinking?’ notes in my phone, with a few ingredients jotted down and a very rough outline of how I thought the recipe would go. I had obviously typed the recipe out in a hurry and assumed I would know what my brain was talking about when I went to read it later (HA!). Luckily, I was able to cobble together a recipe and it ended up working, on the first try! My brain isn’t all that crazy after all, just moving too fast for my fingers to type. There are a TON of vegan caramel sauce recipes out there, some use strictly dates and others use the traditional sugar/milk method, but I wanted to make one that combined the two, sweetening the sauce with dates, but while still getting the whole dark/caramel-y feel from brown sugar and utilizing the traditional stove top cooked method. The solution was a hybrid of a lot of pitted dates, a good amount of brown sugar, and a little bit of vanilla, just to finish. This vegan caramel sauce turned out beyond what I was expecting, with the good, deep flavor of a quality caramel sauce while still holding onto a natural sweetness from the dates. 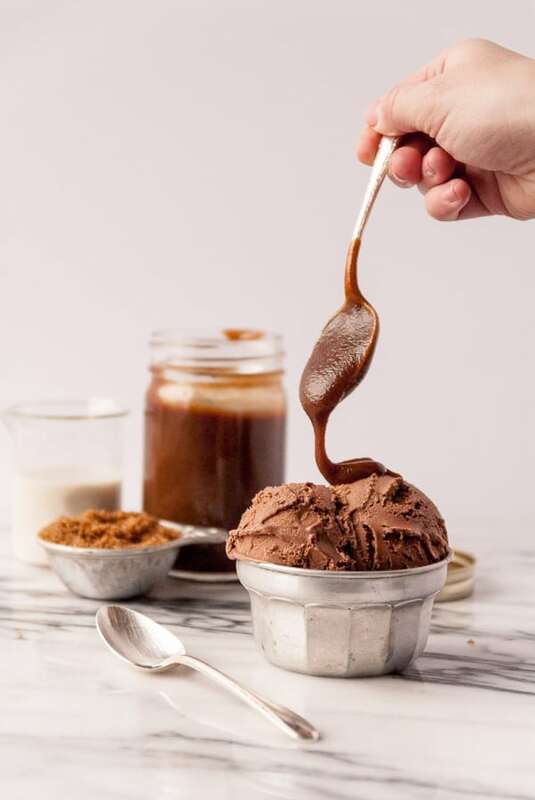 I’m envisioning myself swirling this into oatmeal, topping ice cream with a big spoonful and maybe making a nutella something with caramel sauce on top (<–recipe coming soon!). Whatever way you slice it, having a basic vegan caramel sauce in your baking arsenal is always useful, even if the recipe was cobbled together from a few incomprehensible notes. 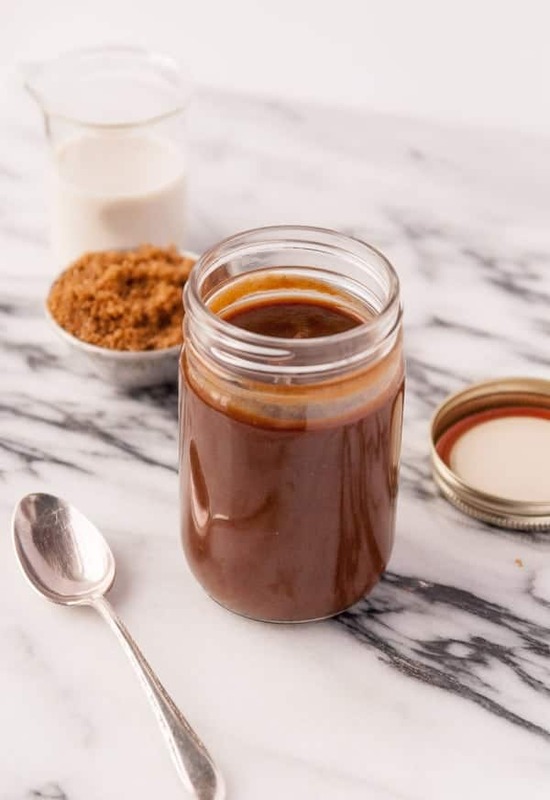 An easy and quick homemade vegan caramel sauce that uses a combination of dates to naturally sweeten and brown sugar to make for a perfectly easy topping for ice cream, oatmeal, and more! Blend all ingredients in a blender until smooth. Transfer to a saucepan and heat over medium high heat, until sauce comes to a simmer. Stir occasionally and keep over heat for 10 minutes, reducing to medium heat after the first few minutes to prevent bubbling over, until sauce is thickened and a deeper brown color. Do NOT try to taste it, it’s really freaking hot right now, so don’t even think about it. Stir in vanilla extract when sauce has cooled slightly. Store in refrigerator. Ha! I’m the exact same way with the notes on my phone. A lot of times my ideas come to me while I’m driving, and then I have to quickly try to jot it all down when I’m at a stop light or something. I’ve even pulled over in times of desperation so I wouldn’t forget what was in my head before writing it down. Can’t wait to see you in a few days!!! Eeeeeee!!!! I keep my recipe “bucket list” in a big long google doc! Haha! So many but I’m always slowly crossing them off! This looks amazing! I love date caramel so much 🙂 Pinning! look at that creamy, drizzle. yum! i am obsessed with the magic of dates. i’ve made a caramel with them, but never tried using brown sugar. ice cream sundae heaven. 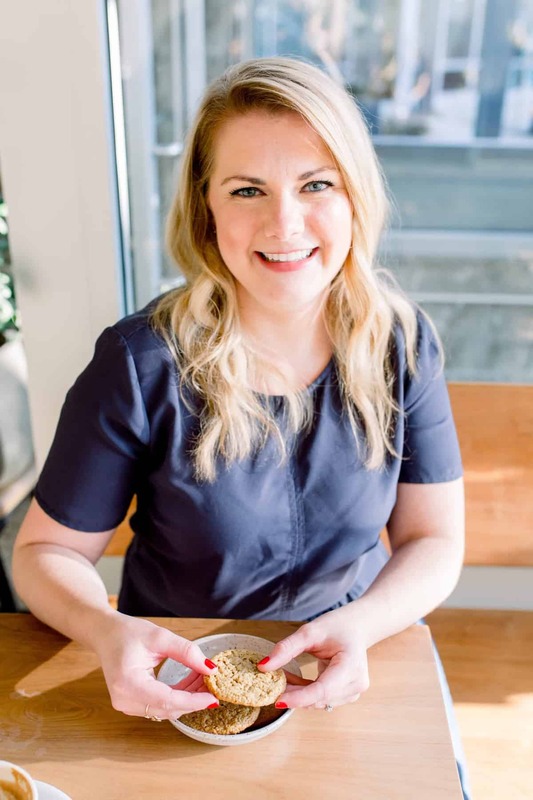 Love the idea of a vegan caramel sauce! All the luxury of butter with none of the guilt! I have a phone notes list as well! It is long and totally disorganized. I bet this hybrid of the two sweeteners really brings out those caramel-y notes – so good, Abby!! xo. Thank you thank you Sarah! I’m glad it’s a blogger thing, there’s just always so many ideas!